Now that summer is in full swing, I have been craving fresh fish like there’s no tomorrow. Don’t get it twisted, I love fish throughout the year, but there’s something about summertime that really gets my taste buds going. 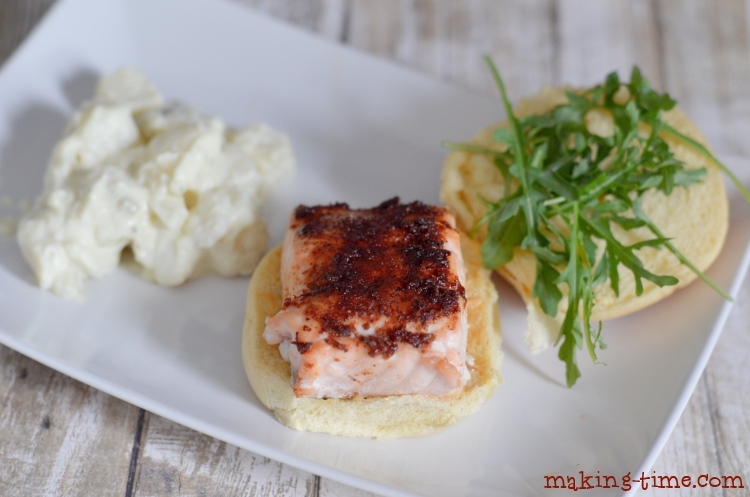 When that craving hits, I know exactly what to make – Smokey Salmon Sliders. 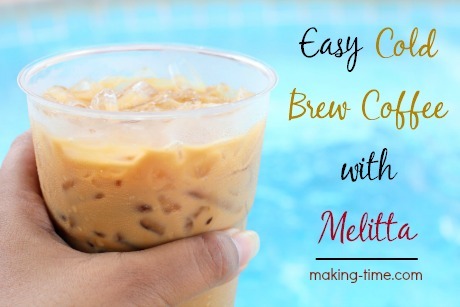 This recipe is great for any summertime gathering, picnic, or even a meal for one. 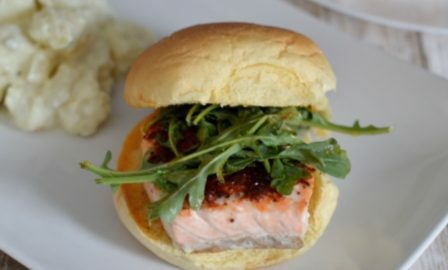 Grab some fresh salmon fillets, make the smokey seasoning and sauce, and pair it with some arugula on a slider bun. 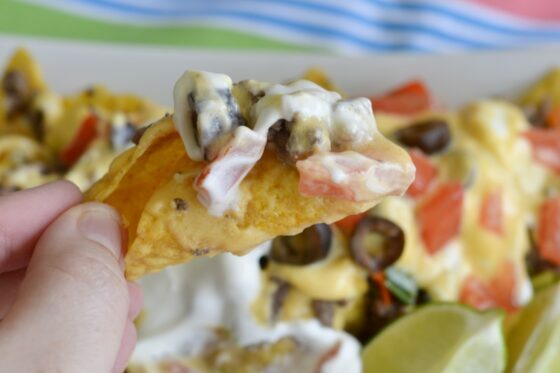 It’s a party in your mouth and only takes about 15 minutes to make! Part of what makes this recipe so quick to make is that it only takes a few ingredients. Making the smokey seasoning mix is pretty simple and that’s where I start. The featured seasoning in the mix is smoked paprika. A while back I accidentally bought smoked paprika, thinking I was getting regular paprika to sprinkle over deviled eggs. Needless to say, our deviled eggs had quite a different taste than usual. After that, the smoked paprika just sat in the cabinet because I really didn’t know how to use it. Now I use it on a few different dishes, including these Smokey Salmon Sliders, and wouldn’t bear to be without some in my seasoning cabinet. Once you’ve mixed everything together for the smokey seasoning, it’s time to start on the salmon. You may have to cut the salmon fillets so that they’re slider size. I usually buy a large fillet or two, and just cut it into smaller portions. Then you coat the small salmon fillets with the smokey seasoning, saving about half a teaspoon of the seasoning for the sauce. 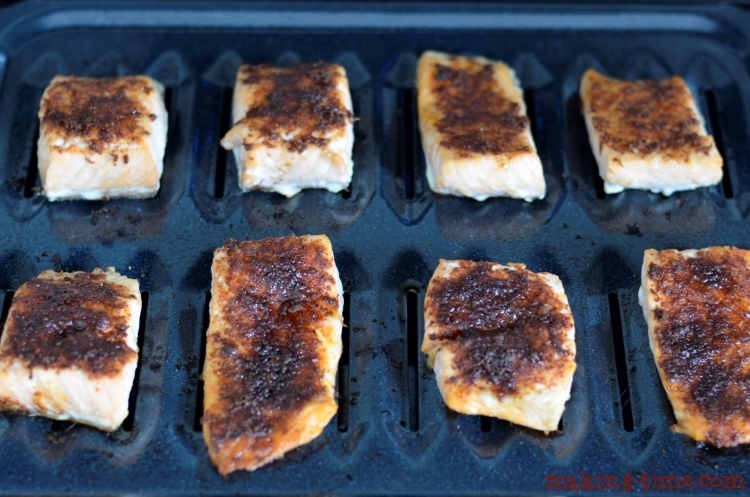 Place the seasoned salmon onto a broiler pan and broil for about 10 minutes. 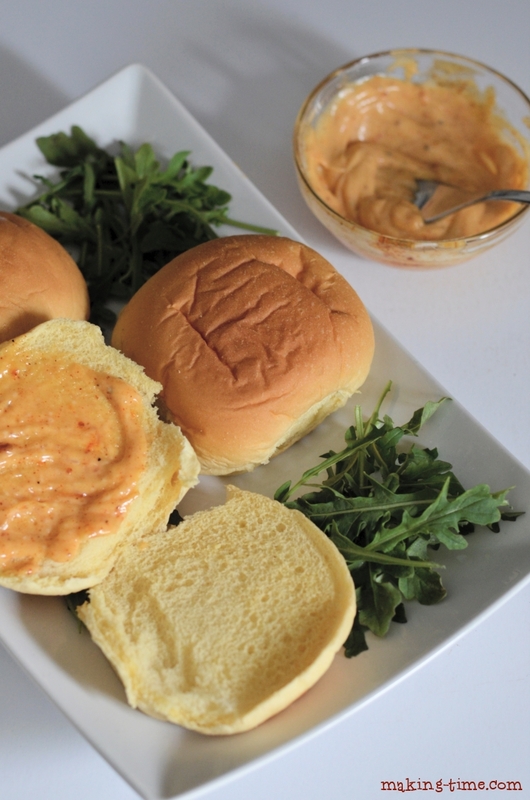 While the salmon is broiling, it’s a great time to prepare the sauce and buns. To make the sauce, simply combine the mayonnaise and the remaining smokey seasoning. Then spread the sauce on the buns. I like to use Martin’s Potato Rolls for my sliders (we love potato bread). You can also heat the buns in the microwave for about 15 seconds, if you like a softer bun. When the salmon is done, let it cool for just a few minutes and then remove the skin. 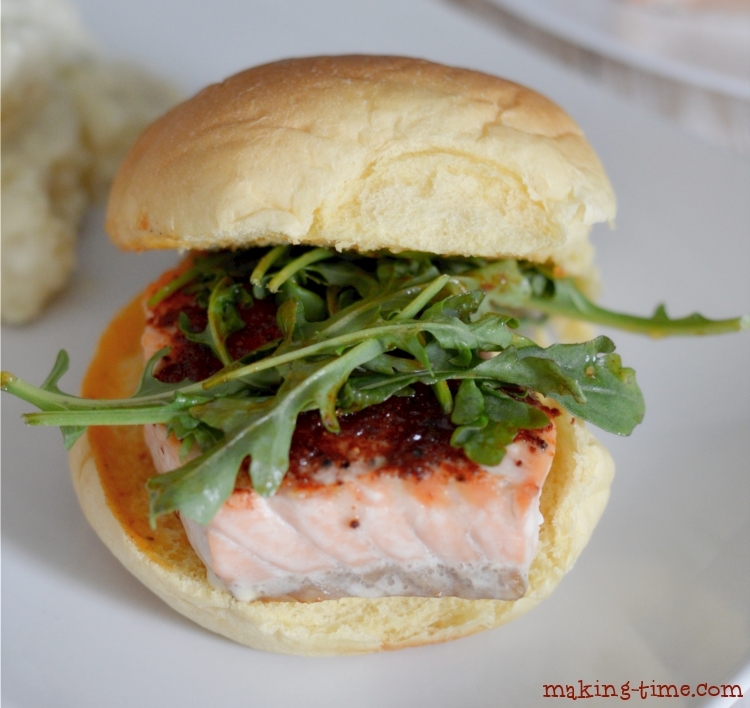 Place the salmon on the buns, top with arugula, and enjoy! 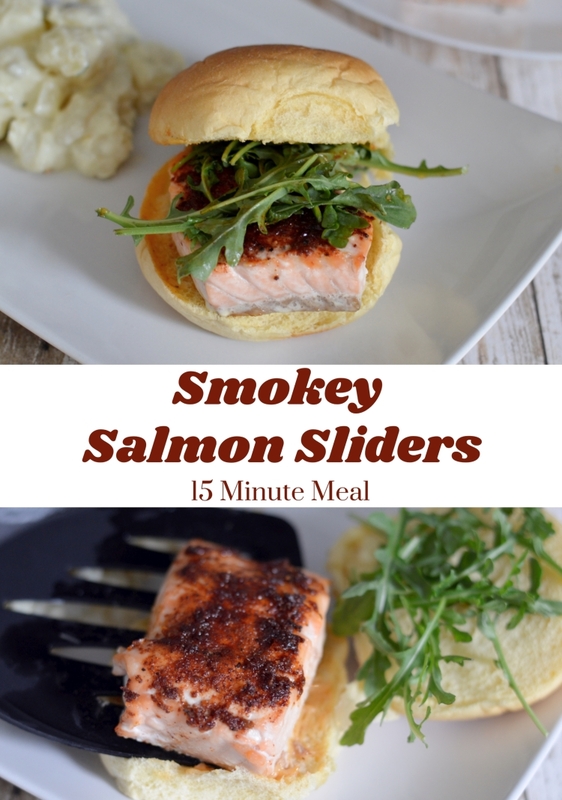 These Smokey Salmon Sliders are great for any summertime gathering, picnic, or even a meal for one. 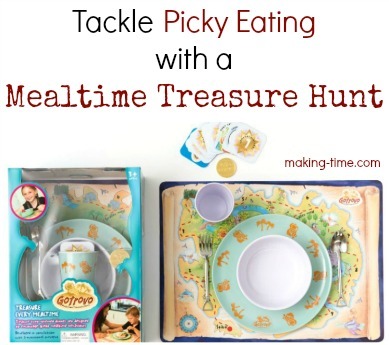 And they take just 15 minutes to make! Prepare the smokey seasoning by mixing the smoked paprika, brown sugar, salt, pepper, and orange zest, in a bowl. 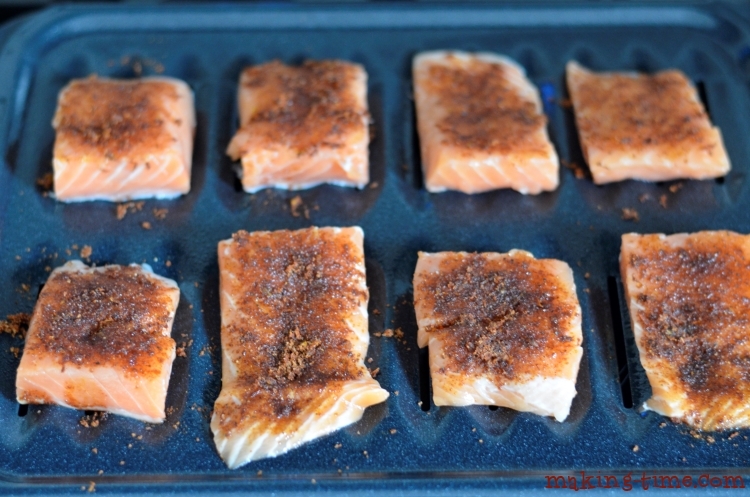 Rub the smokey seasoning on top of the salmon fillets, saving about ½ teaspoon of seasoning for the sauce. Broil the salmon for 10 minutes. While the salmon broils, prepare the sauce by mixing the mayonnaise and remaining smokey seasoning. Start preparing the slider buns by spreading the sauce on them. Once the salmon is done, let it cool for just a few minutes and remove the skin. Then place on the slider buns and top with arugula. 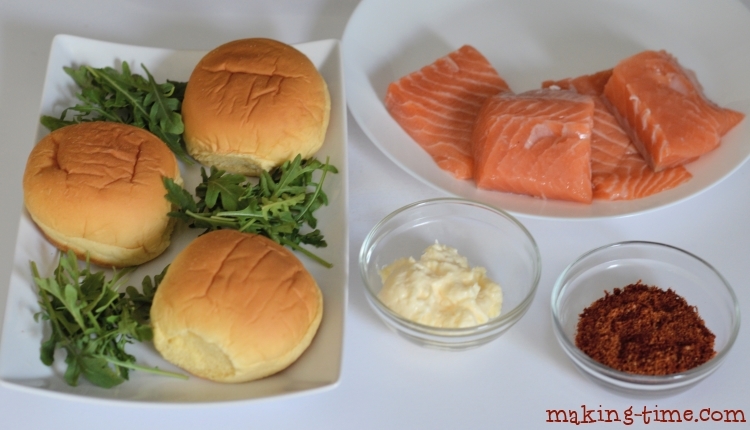 Have you ever tried Smokey Salmon Sliders? Come back and let me know what you think! My husband and I love salmon and sliders! This recipe would be perfect for us and healthy too. Thank you for sharing this. I’ll will definitely give it a try. I’m pinning for later.